During this time in the motorcycle world, there are many big name of Japanese manufacturers who were victorious both on the circuits and the streets around the world, such as Honda, Yamaha, Suzuki, Kawasaki and others. However, very few names of the manufacturers of other countries, especially from Europe and America that can compete with those Japanese manufacturers. 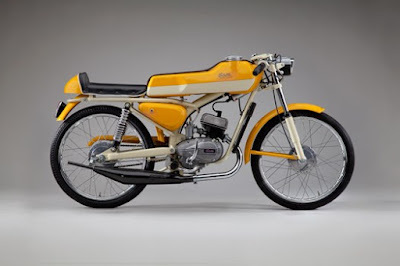 In 1950, Pietro Ceccato hired Fabio Taglioni as design consultant at his motorcycle factory in Montecchio Maggiore near Vicenza in Northern Italy. Taglioni was an airplane and motorcycle mechanic during World War II and had recently graduated with an industrial engineering degree from the University of Bologna. Taglioni’s first engine for Ceccato was a 75 cc overhead camshaft single designed with assistance from students he instructed at Bologna’s polytechnic institute. The bike’s tremendous success at the Motogiro d’Italia, a long-distance rally through Italy and the industry’s primary proving grounds, attracted the attention of rival Mondial, which hired Taglioni away in 1952. Mondial, in turn, lost Taglioni to Ducati in 1954, where the legendary engineer made history with a series of highly innovative and successful race bikes. The Fratelli Peripoli company established by Giulietta as a division to make mopeds and scooters in the late 1950s. The name was perhaps inspired by the nearby tourist attraction, the legendary home of Juliet Capulet in neighboring Verona. After a revision of Italy’s Highway Code in 1959 made 50 cc motorcycles an attractive option for younger riders, the company produced the 50 cc Giulietta Super Sport in both moped and motorcycle versions. The bike’s space-age styling helped distinguish the Giulietta in a crowded field of newly introduced, small-displacement motorcycles. 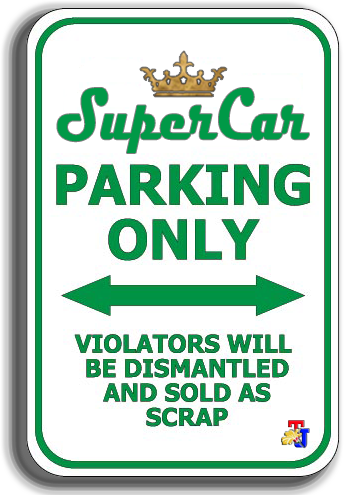 Its streamlined body gracefully flared outward over the rear tire similar to the style of the era’s automobiles. A distinctive tan-and-blue color scheme was employed on nearly every element, including its heavily padded seat. 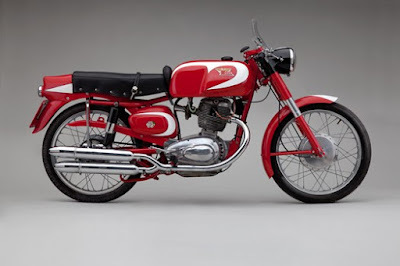 Moto Morini’s origins began with a partnership between Mario Mazzetti and Alfonso Morini, who built a highly regarded two-stroke 125 cc race bike as their first motorcycle in 1924 under the marque Motocicli MM. MM bikes were remarkably successful in the 1920s and 1930s, with their 125 cc establishing six world records at the Monza racetrack in 1927, and their 175 cc setting a new record for its class with a speed of more than 100 miles per hour in 1933. Morini, wishing to expand the business and increase production, broke with Mazzetti in 1937 and established a rival business under his own name. This was a significant gamble, as the motorcycle industry was in considerable turmoil while Italy’s economy was mobilizing for war. Morini’s fledgling factory produced lightweight trucks and then military equipment during World War II, prior to the plant’s partial destruction in Allied bombing raids in 1943. 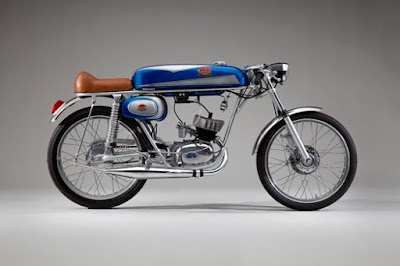 FB Mondial achieved sudden and lasting fame in the motorcycle world by earning ten world titles in its first nine years of operation in postwar Italy. Mondial’s racing victories translated to the successful marketing of production bikes for the general public. After the company’s withdrawal from racing, first in 1957 and then again in 1966, sales of their esteemed 125 cc to 175 cc roadsters plummeted. Although the company was in decline in the 1960s, the famous factory continued to produce extraordinary motorcycles on occasion. 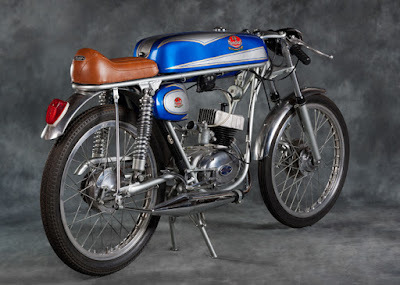 An example is the Record Sport, introduced at the 1965 Milan Motorcycle Exhibition and designed to mimic the increasingly popular 50 cc race bikes of the mid-1960s. Itom and the 50 cc Class Itom was an early contributor to Italy’s motorcycle industry after World War II and secured an excellent reputation for its 50 cc and 65 cc single-cylinder two-stroke engines by the mid-1950s. 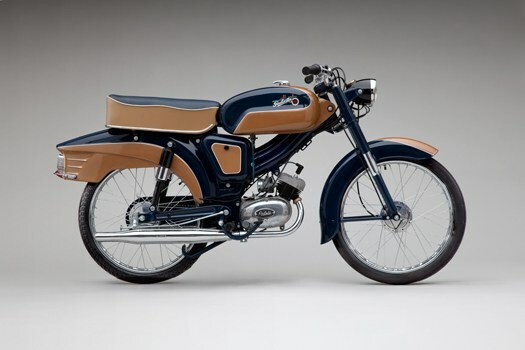 The Astor Super Sport, a 50 cc motorcycle with three speeds and handlebar gearshifts, debuted in 1954. 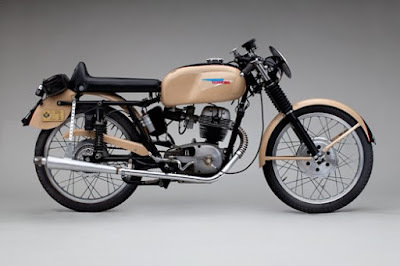 Itom was a major contributor to the booming popularity of small-displacement motorcycles in the late 1950s and 1960s. 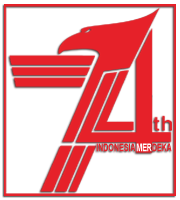 The company’s successes on the racetrack led to Grand Prix championship racing status for the 50cc class in 1962. Although Itom never entered production racers, private riders on the company’s bikes comprised the majority of racers in the 50cc class from the late 1950s to the mid-1960s, before yielding to production racers by Honda and Kreidler.